Planters Dry Roasted Pistachios - Planters takes their premium quality pistachios, roasts them to perfection, then packs them so that you could get the fresh crisp pistachios with their unique sweet flavor intact. 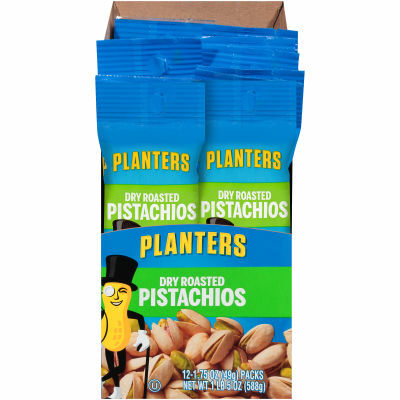 Planters Dry Roasted Pistachios are best at satisfying your snack emergencies. Nutrient dense and bursting with flavor, these nuts are a must have in your healthy eating plan. Serving size 1 pack (26g edible portion).